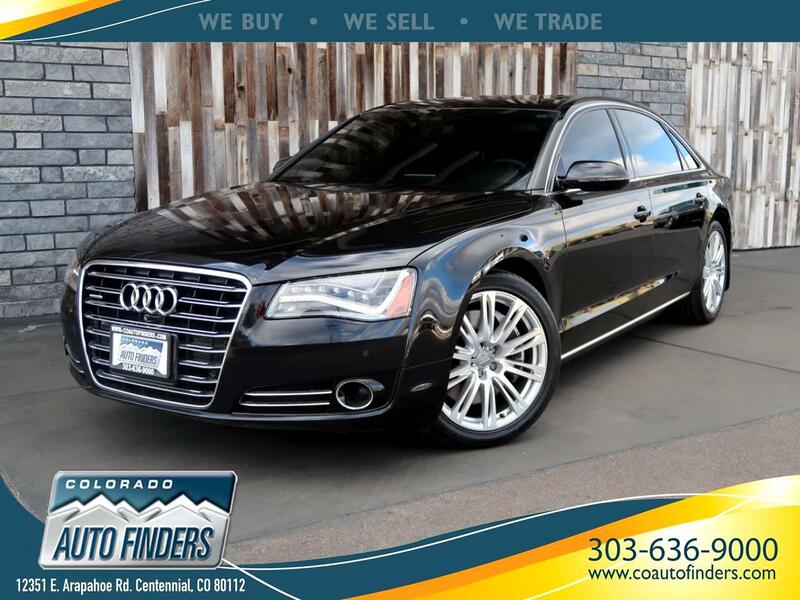 Audi A8 for sale in Centennial. The A8 is so confidence-inspiring, it borders on sporty, with potent acceleration, strong braking and athletic handling. At the same time, it delivers appropriate levels of luxury. The A8 is incredibly comfortable, with a quiet and calm cabin, well-shaped seats and a smooth ride quality. Think of the Audi A8’s 4.0-liter V-8 as a double dose of Audi’s spectacular 2.0-liter turbo four.